Have no clues how to import H.265 video into Final Cut Pro, Avid Media Composer, Premiere Pro, Sony Vegas Pro or Premiere Elements for editing? Don’t worry. 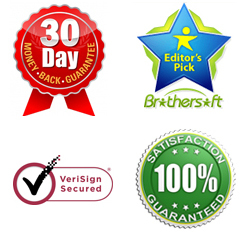 This article will show you the reason and the importing & editing process. High Efficiency Video Coding (HEVC), also known as H.265, is a new video compression standard, developed by the Joint Collaborative Team on Video Coding (JCT-VC). HEVC was developed with the goal of providing twice the compression efficiency of the previous standard, H.264 / AVC. It can support 8K UHD and resolutions up to 8192×4320, as well as improved picture quality in terms of noise level, color spaces, and dynamic range. Q3: Hey, who can tell me why? I import my downloaded H.265 movies from an website, and want to put them into Avid Media Composer 7 on Windows 10 for a slight editing to use them as a Promo video. As we know, the main reason is the incompatible format, to solve the incompatible trouble you’d better change H.265 video to a native format for importing to NLE. You can transcode H.265 to these editing software supported format with a 3-party software. 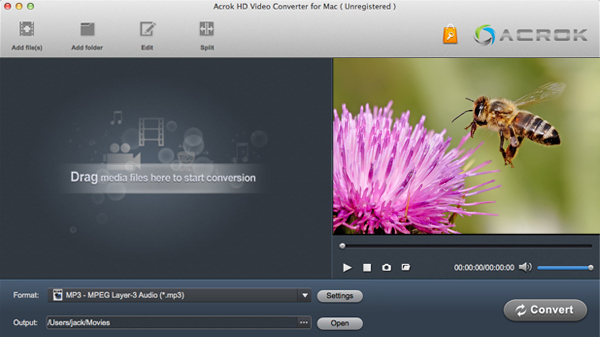 Acrok HD Video Converter is height recommended to you, with it you can transcode any H.265 video to ProRes MOV (Final Cut Pro), DNxHD MOV(Avid Media Composer ), H.264 MP4 (Premiere Pro, Sony Vegas Pro, Premiere Elements), which maintains maximum editing quality and efficiency when working with NLE. Below is the specific step for you on how to converting H.265 video to NLE best editable format with the H.265 Video Converter. 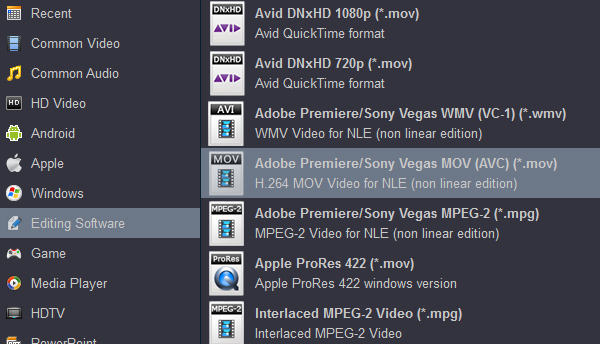 Guide 1: How to convert H.265 video to ProRes for FCPX? Step 1: Install and launch this H.265 video Converter for Mac on your computer. Transfer your H.265 files to the H.265 to ProRes Converter for Mac by clicking “Add Files” icon. Step 2: Click “format” bar to choose the output format. 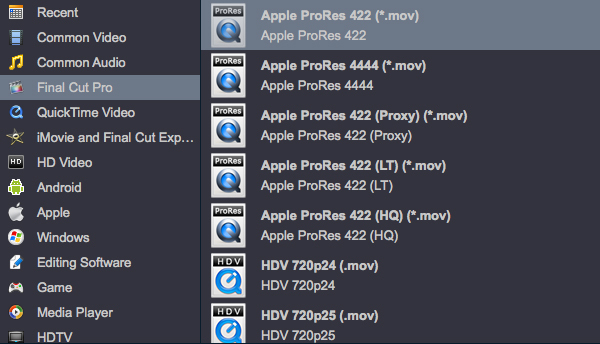 For FCP X users, here you can choose “Final Cut Pro” > Apple ProRes 422 (*.mov) as the target format. Step 3: Click convert button on the main interface to start converting H.265 to ProRes for FCP X on Mac. Step 4: After the conversion is done, you can click “Open” to find the output file, then you can import converted files into FCPX for editing easily. Guide 2: How to convert H.265 video to DNxHD for Avid Media Composer? Step 1: Install and launch this H.265 video Converter (Windows Version | Mac Version) on your computer. Transfer your H.265 files to the best H.265/HEVC Video converter by clicking “Add Files” button. Step 2: Click “format” bar to choose the output format. 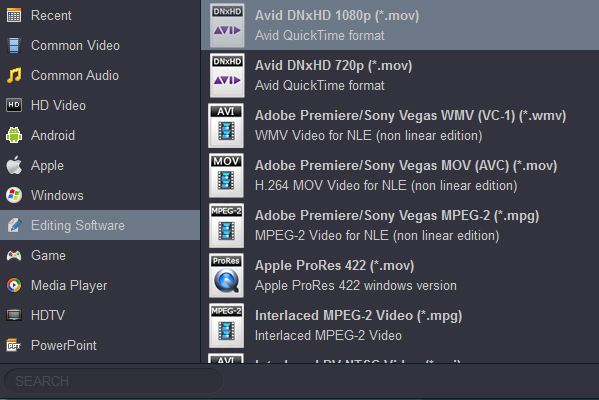 For Avid Media Composer users, here you can choose “Editing Software” > Avid DNxHD 1080p(*.mov) as the target format. Step 3: Click convert button on the main interface to start converting H.265 to DNxHD for Avid Media Composer on Mac OS X El Capitan or Windows 10. Step 4: After the conversion is done, you can click “open” to find the output file, then you can import converted files into Avid Media Composer for editing easily. Guide 3: How to convert H.265 video to H.264 for Premiere Pro, Sony Vegas Pro, Premeire Elements? Step 1: Install and launch this H.265 video Converter on your computer. 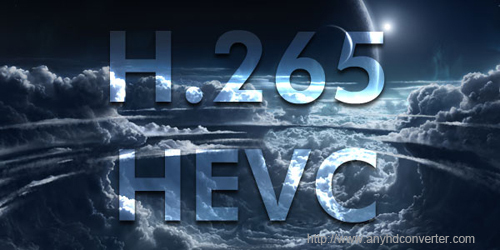 Transfer your recorded or downloaded H.265 files to the HEVC to H.264 Converter by clicking “Add Files” button. Step 2: Click “Format” bar to choose the output format. For Premiere Pro, Sony Vegas Pro, Premiere Elements users, here you can choose “Editing Software” > Adobe Premiere/Sony Vegas MOV (AVC)(*.mov) or “Adobe Premiere/Sony Vegas MPEG-2 (*.mpg)” as the target format. Step 3: Click convert button on the main interface to start converting H.265 to H.264 for Premiere Pro, Sony Vegas Pro, Premiere Elements. Step 4: When you fished the conversion, you need to click “Open” icon to find the output file, then you can import converted files into your editing program for editing easily. Tip 1: If you want to play H.265/HEVC video via your Android tablets, Smart TVs or other media players, you can convert H.265 video to H.264 MP4 via our HEVC Converter. You can get this profile in “Common Video” category. Tip 2: If your movie isn’t already in one of your tablet or sanrtphone supported formats or it’s still on a a Blu-ray, you can get Acrok Blu-ray Ripper, which can help you rip Blu-ray and convert various formats videos in MKV, AVI, TiVo, VOB, MPG, MTS, WMV, etc. to iOS, Android, Windows RT/8 tablets/phones for smooth playing.